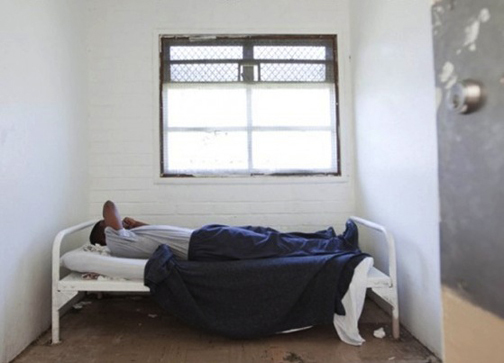 LOS ANGELES-Youth advocates, activists and lawmakers are pushing for a bill that would set clear standards to help limit solitary confinement of youth in all state and county facilities. Authored by Senator Leland Yee, the bill seeks to establish a legal definition of the tactic widely condemned as torture and overused in California’s juvenile justice systems, according to advocates. Solitary confinement contributes to recidivism, mental illness and youth suicides, particularly because weak standards and guidelines allow different departments extreme leeway to determine how the measure can be used, expressed Kim McGill of the Youth Justice Coalition. “The bill’s also important because it says that solitary confinement will only be used when a young person poses an immediate or substantial risk of harm to others, so it can’t be used for punishment,” McGill stated. Solitary confinement cannot be used because staff need a break from a young person or doesn’t know what to do with mental health issues, she continued. At press time, SB61 supporters were on a phone drive to help get the bill out of the Senate and on to the California State Assembly, where the process would start all over again. The next two to three months of work is worth the effort to get SB61 passed because it would clearly define the measure and severely limit how it can be used, McGill stated. “We would like to eliminate it all together...There are federal guidelines and state guidelines that can be applied in some ways but the ones around solitary confinement are way too loose and way too vague,” she argued. SB61 would specifically define solitary confinement as the involuntary placement in a room or cell in isolation from persons other than staff and attorneys. Youth would be held only to address the safety risk and, if law, would require facilities to report on when the special imprisonment was used, including demographics and the length of confinement. As a government agency, the California Department of Cor­rec­tions and Rehabilitation (CDCR) typically doesn’t take a position on pending legislation and has no position on SB61, a spokesperson informed. In 2011, a CDCR internal audit found that youth were often locked up in their cells for over 21 hours a day, according to a fact sheet provided by Sen. Yee. The document continued, in one 15-week period, there were 249 incidents of solitary confinement, and in one case, a youth received only one hour out of his cell in a 10-day period. In local juvenile facilities, there have been reports of youth locked up in isolation for 23 hours a day. Tanisha Denard was among them, she told a Senate Public Safety Committee during a recent hearing. Arrested at school for fighting, Denard said she was put on probation. A series of truancy tickets for being late landed her in Los Angeles County juvenile hall on a probation violation, according to the youth. Negative experiences behind bars rendered her distant. She wouldn’t eat. She became unsure and uncomfortable but, instead of trying counsel her, staff just stopped talking to her, the 19-year-old alleged. “I guess the staff thought I was depressed, so then they put me on lockdown for real - no cell mate, no dayroom time, no hope,” Denard continued. “It is by far the worst feeling I had ever experienced...From 8 p.m. or 9 p.m. until 6 a.m., you are locked into a single person cell that looks exactly like the box. It’s also freezing, and if you’re found with an extra blanket or sweatshirt, you are accused of having contraband and punished,” she continued. Denard further stated she and other youth in solitary confinement had no books or writing materials, so their nights were endless. “... just you, your thoughts and the screams or crying of the young people in the cells next to you...Your family and the community expect that you are safe and unharmed. In reality you might be safe from other youth – but not from yourself. Being locked down makes you feel that you are worthless to society. You start to think about any way to escape – even if it means suicide,” the young activist elaborated. She recommends creating a nature park as one alternative to 23-hour cells to help incarcerated youth calm down. “...or have us work outside to grow food, or take vocational trainings so we are ready to start our lives over after release,” Denard suggested.